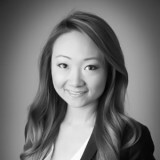 Jessica Wang is Vice President of Company Law at Morgan Stanley. She is Counsel to Corporate Treasury in connection with worldwide corporate finance activities, including the Firm’s securities programs in the global markets, both structured and unstructured. Previously an Associate at Weil, Gotshal & Manges LLP, she has her Juris Doctorate (JD) from New York University School of Law, and her Bachelors (BS) in Information Systems. Particularly interested in corporate social responsibility, gender, and racial equality, Jessica joined in the ICAAD Board in 2016.